We’re a little over a quarter of a year, but it seems a dozen or so great games have already been released to appease our massive gaming appetites. [firstpara] We’ve already had Bioshock 2, Bayonetta, Heavy Rain for PS3 owners, Mass Effect 2 for those on the Xbox 360 camp, and the list, this early in the year, goes on. This week, we’ve got another heavy hitter, and it’s sure to get your trigger finger itchy again. 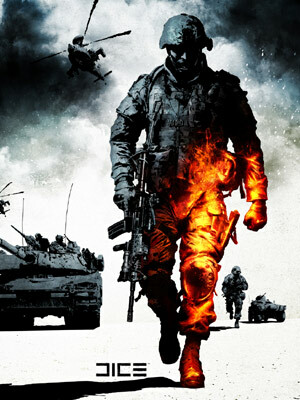 Battlefield: Bad Company 2 is here, and it’s bad, as in badass. Like the game prior to it, the real star of Bad Company 2 is its online multiplayer game. A huge portion of the environment is destructible. Got an enemy player hiding behind a wall? Casually throw a grenade to its general direction, and the resulting explosion destroys the wall, and consequentially the player hiding behind it. The game’s destructible environments do make for another level of strategy for dealing with opponents. Like MAG, Bad Company 2 requires teamwork and open communication lines between online players to win. You are given the choice to pick from four classes from the lightly-armed medic to the full-powered heavy weapons dudes. All classes have their own specialties, and their own weaknesses, and a team could only be effective by supporting each other’s weaknesses, and augmenting each other’s strengths. 4 Ways this Sharp Thingimajig does to keep your pad clean!